via SpineTV : Video – Futura. 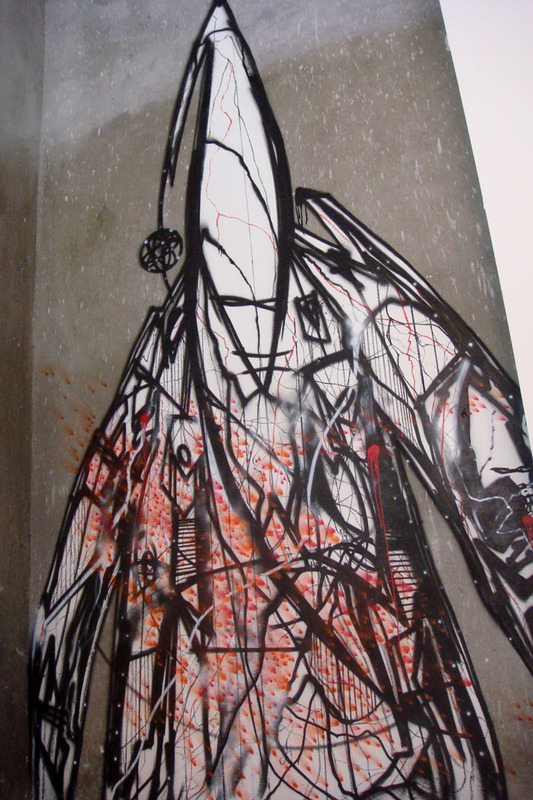 A very cool video, on a very interesting character, the graffiti artist, Futura 2000. Futura is a huge graffiti art and street culture icon, who’s done a ton of stuff, including design his own special edition dunks for Nike, and have his own clothes, toys, etc. and show his art in prestigious galleries around the world. The first time I remember actually seeing him was in my favorite documentary of all time Just For Kicks, if you haven’t seen it…you ain’t up. I also just discovered the site that this video is featured on, Spine Television. Give it a look see as well, they have all kinds of pieces on Art, Film and Music. This entry was posted in art, Cool Stuf, video and tagged Culture, Documentary, Futura, Futura 2000, Graffiti, Just For Kicks, Nike. Bookmark the permalink.